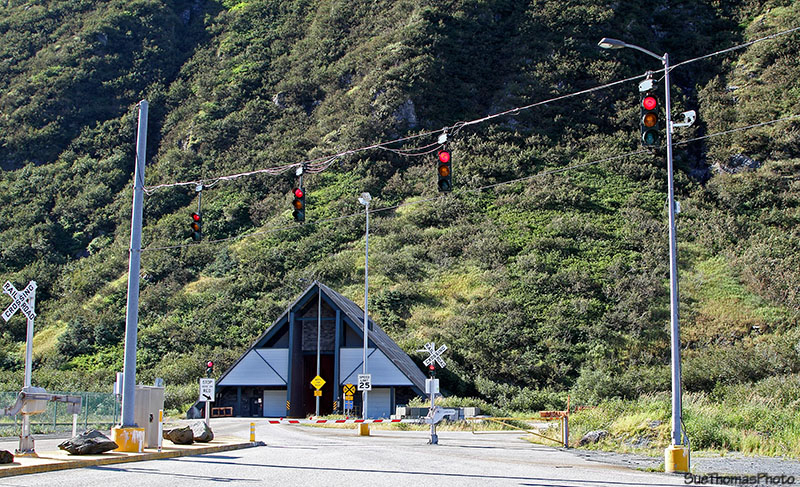 In 1986, Whittier was accessible by tour boat or by taking the train through the tunnel. Today it is possible to drive through the 2.5 mile long tunnel, which takes six minutes. This is the first tunnel in the U.S. with jet turbine and portal fan ventilation. 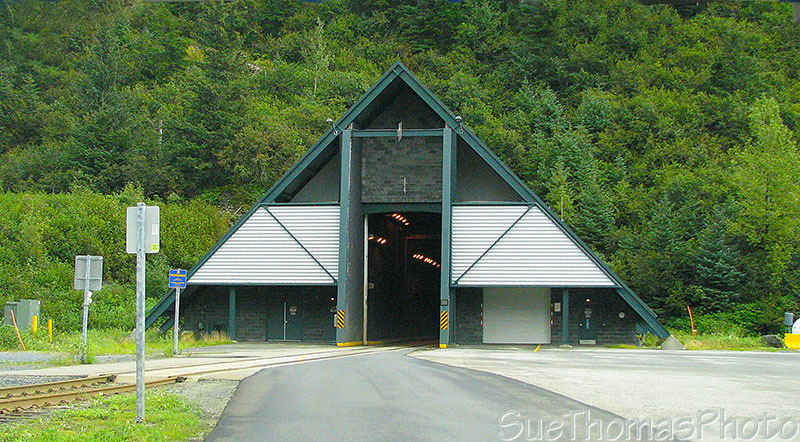 It is also the longest highway tunnel in North America. 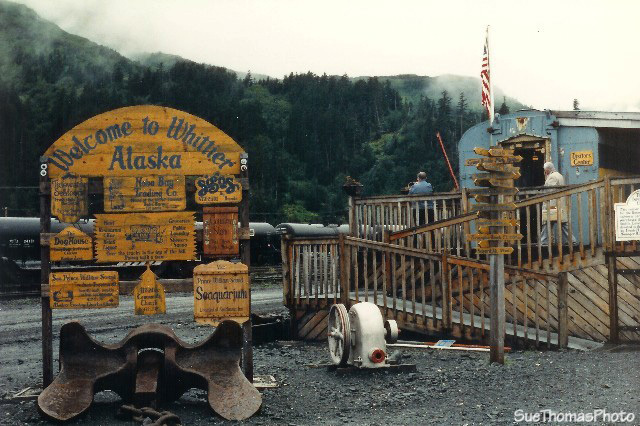 In Whittier, I looked for the sign I saw in 1986 when I visited by boat. The sign was no longer there though. 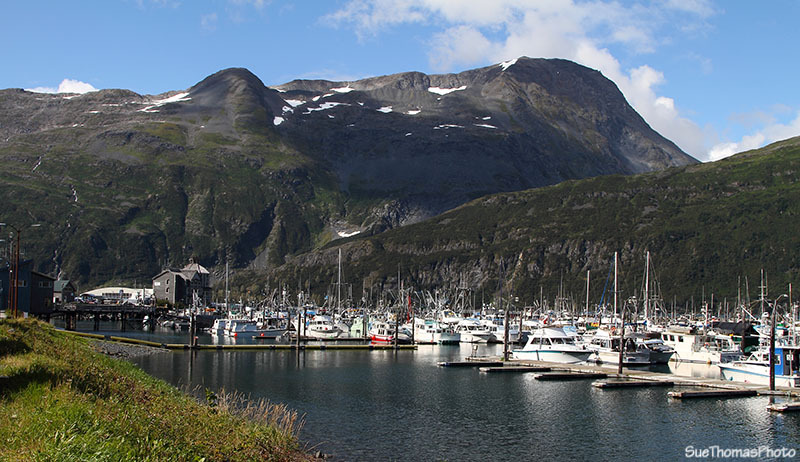 Whittier is a small town. The campground in town had no services. 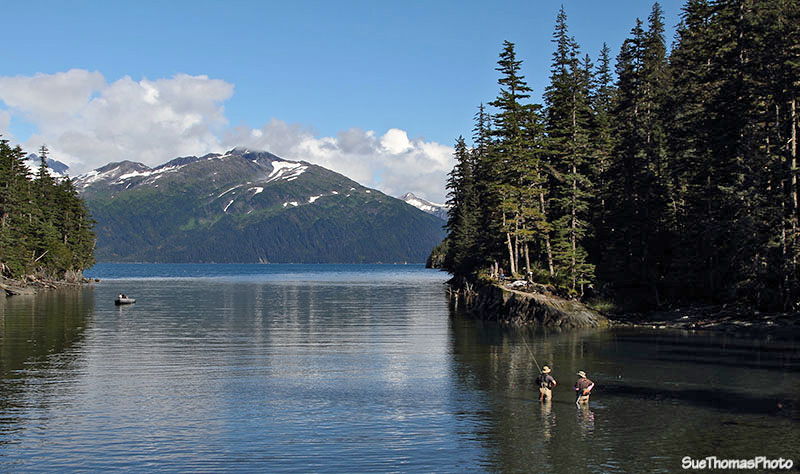 It might be best to camp at Williwaw Campground, just a few miles the other side of the tunnel. The harbour is busy with fishing boats and tourists. Numerous restaurants and stores line the waterfront. 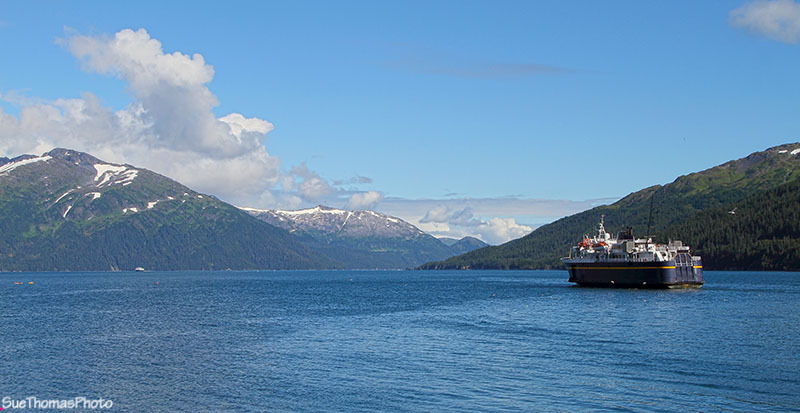 The Alaska State Ferry comes and goes daily. 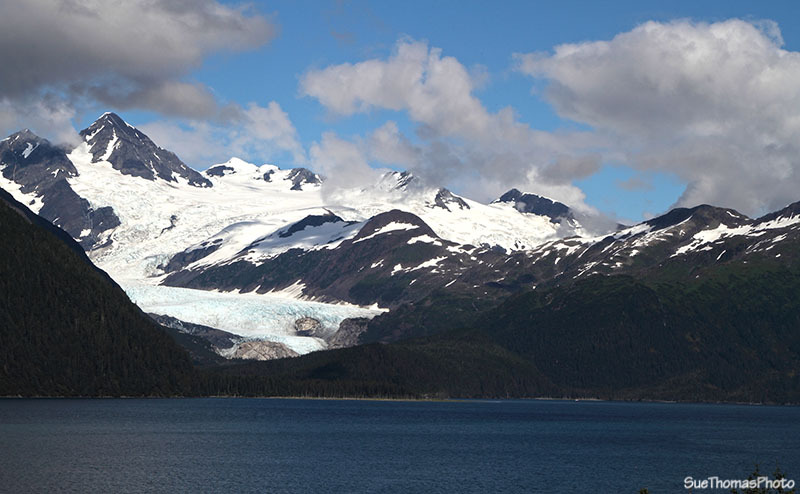 The scenery around Whittier is amazing on a sunny day! 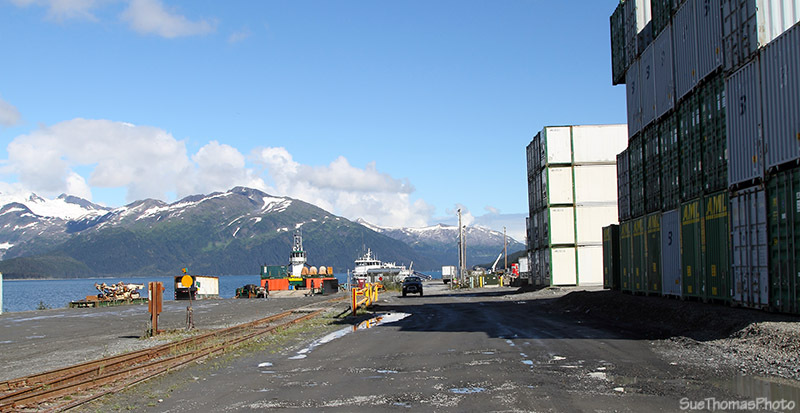 The landscape is spectacular, but the town has various structures including abandoned housing blocks and industrial areas. When it is time to leave, it is back through the tunnel you go! Copyright ©2008-2019 by Sue Thomas, all rights reserved.